The first proper Sunday Roundup of the year. That feels good to say. What’s also good is being able to explore new cities and raid the local game shops for whatever hasn’t been cleared out already. In this case that means two shops with a huge backlog of games (some good, many more not so good) I added to my collection. I’m still working on completing that Dreamcast collection, so that’s making up a hefty portion of this weeks haul. 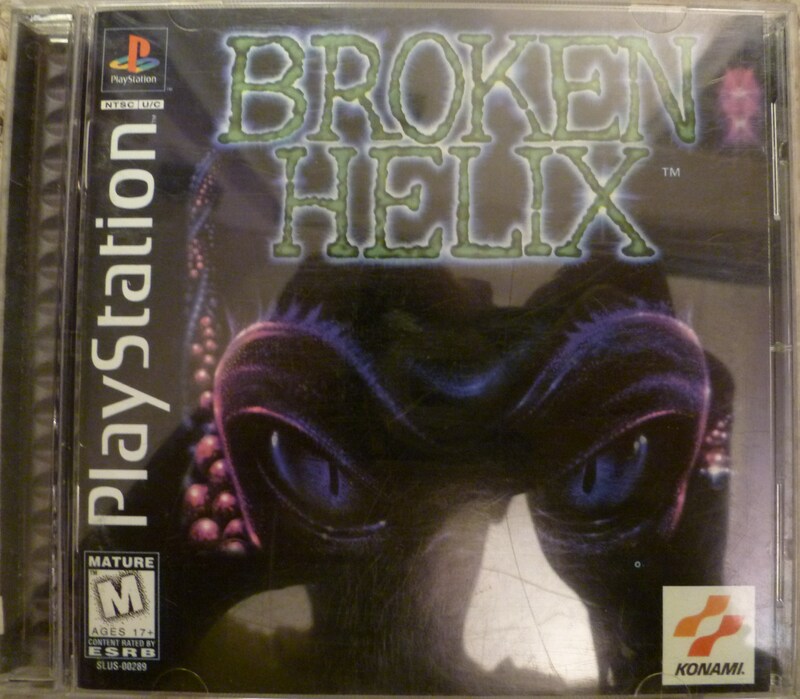 Other than Sega’s finest, I’ve got a handful of haggled-for PS1 titles. Also of note, I returned to the same Goodwill store I went to around this time last year where I procured two still-in-box NES games. This time around, there were complete Japanese PSP games. Excellent find as well. My past experience with this game is just seeing it on the shelf once or twice while looking through the racks. The somewhat creepy cover drew me in before, but not enough to bite. This time though, with a bundled price of $40, I decided to give this one a go. It’s by Konami, so it might hold some promise. 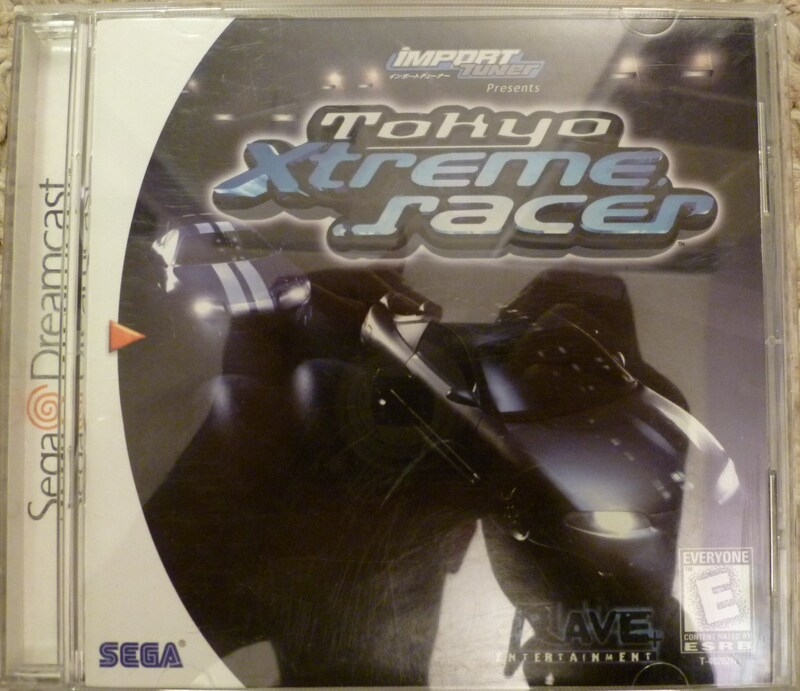 The first of many titles I’ll have this week that are solely here to complete the Dreamcast collection. 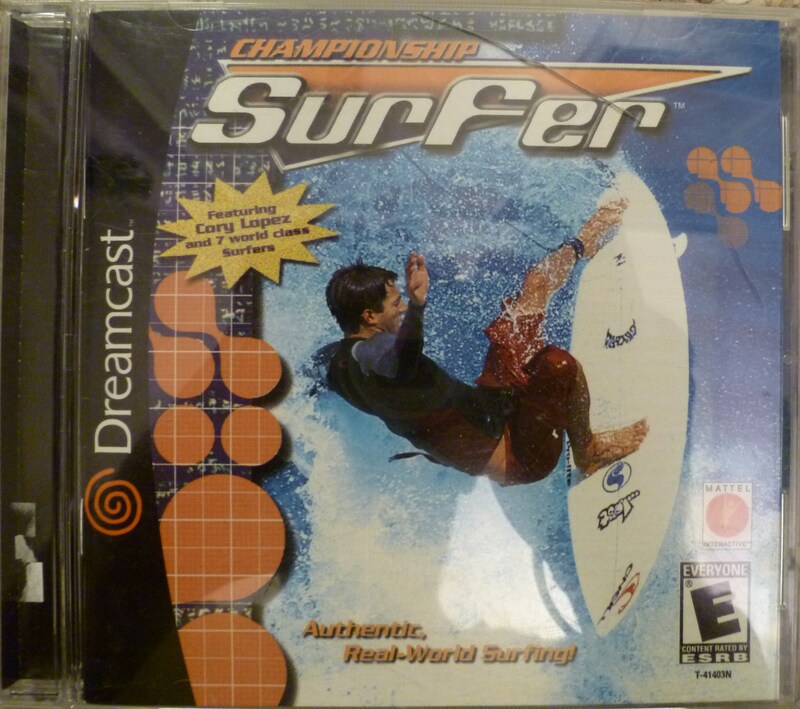 The extent of my knowledge about surfing comes from Tony Hawk’s Pro Skater 3 where pro surfer Kelly Slater is a playable character. Maybe he’s in this game? I took a gamble on this one, and I’m glad I did. 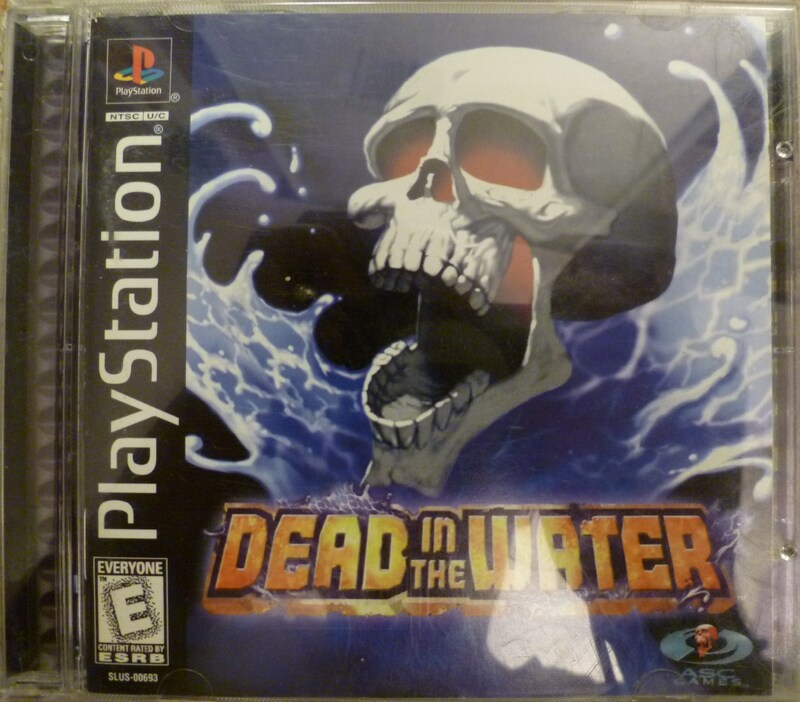 Usually when I see a game I have never heard of, such as Dead in the Water here, I take a look at the cover and the back. If I’m intrigued, I’ll usually go for it. Since the PS1 games this week were a package deal (all six for $40), I nabbed this relatively cheap. And better yet, a quick look online shows the game selling for upwards of $20! Not a bad deal in my book. The game itself looks to be a clone of Hydro Thunder. Man, this brings back memories. When I was growing up I convinced my parents to buy a version of this game for the PC. And I played the hell out of that game. I remember specifically starting a new game, betting all my money on one slot machine pull or one roulette bet, and then hoping I won big. If I didn’t I would just reload and try again until I got a good load of cash. So many good times. I might actually play this one just for kicks! Licensed games are hit or miss in terms of quality of game and scarcity of the title. But how could I pass up an M&Ms game? 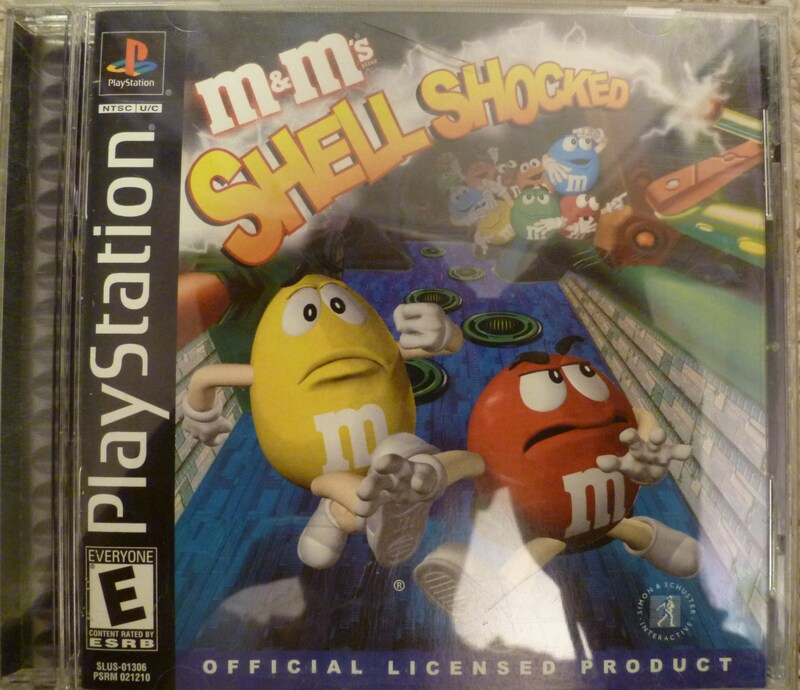 The game is an action game, having you take control of the yellow and red M&Ms as they try and escape from the mini M&Ms which were big (no pun intended) around the release of this game. Strange how you don’t see them around anymore nowadays. I wonder when that happened…? 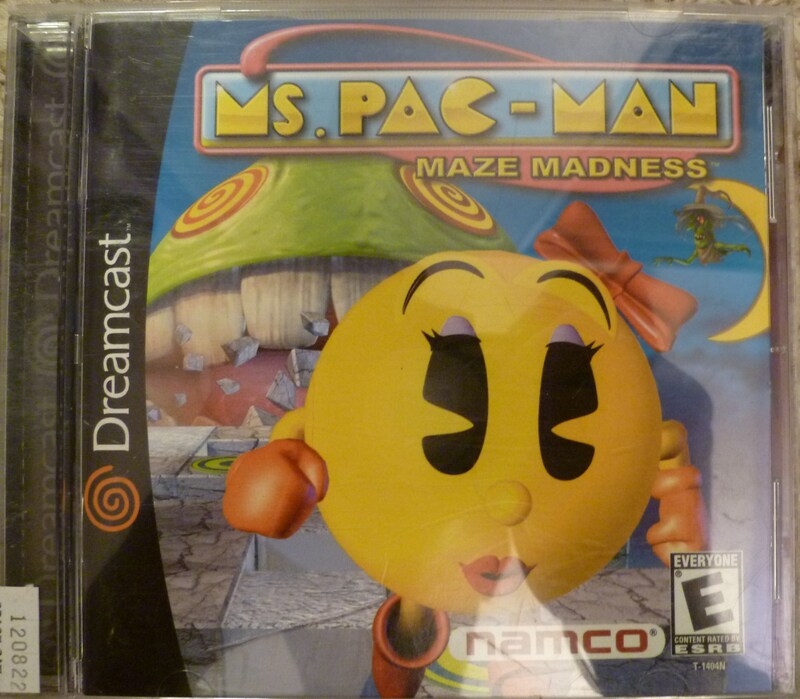 For this reason or that, Ms. Pac-Man: Maze Madness is always priced higher than most other Dreamcast games. I feel like I see it all over the place, but it’s always around $10 or more. This game came with a warning stating that the disc was a little scratched but still works perfectly. I made a judgment call and decided it was alright. It’s good to say this one is finally in the collection. There was an MTV Sports division? Volume 4 here usually sells online for somewhere around $20 to $25, so you can imagine my excitement when I found it this cheap. 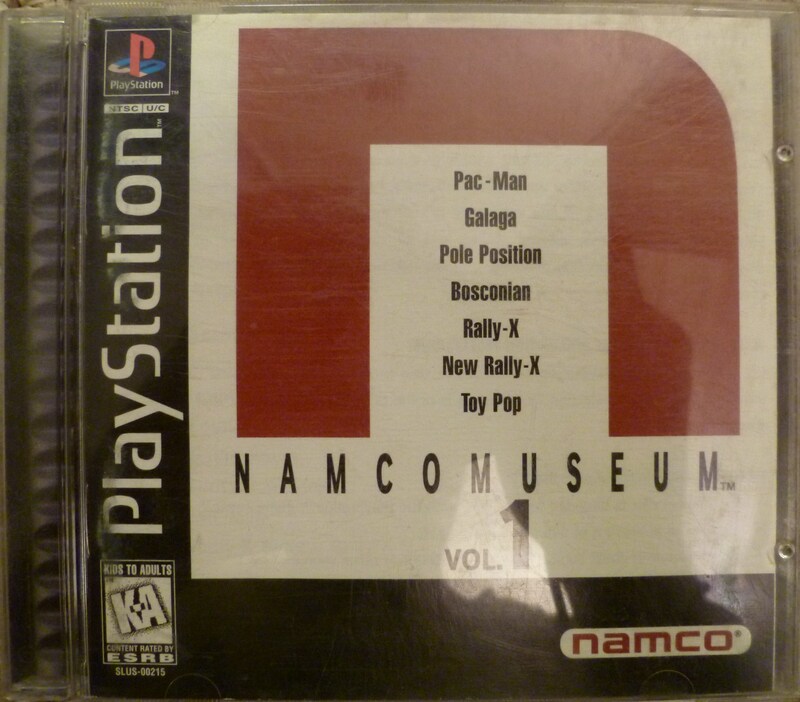 I think that has a lot to do in part to the games included on this disc. Ordyne, Assault, The Return of Ishtar? What are these games. 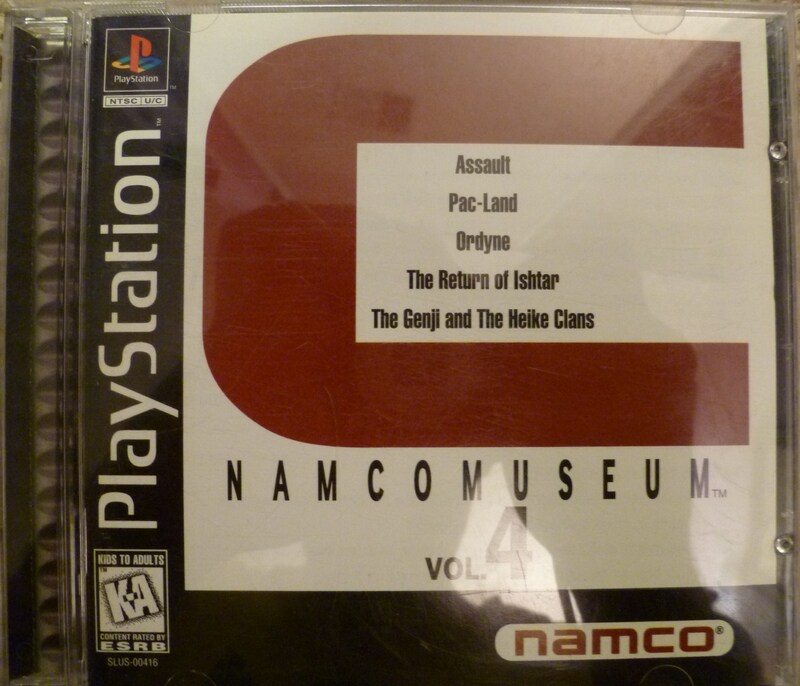 Also, it’s interesting to note that some of the games in the series were re-released as PS1 Greatest Hits titles, and when they were they changed their cover art. The cover art of those games is more reminiscent of the releases the games saw on other platforms like the Game Boy and Dreamcast. Wow, I didn’t know this game was so poorly reviewed! 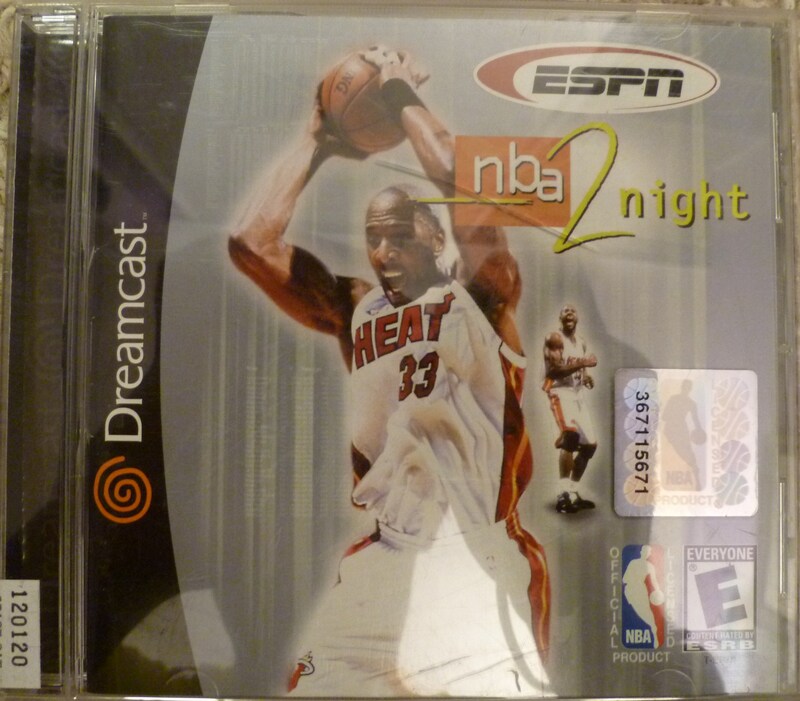 I find it strange that a concept as stable as a basketball sim can be poorly handled, even in 2000. Frankly I don’t know why the industry ever strayed away from the NBA Jam format. Eiffel 65 directed me here, and the quality gameplay kept me here. 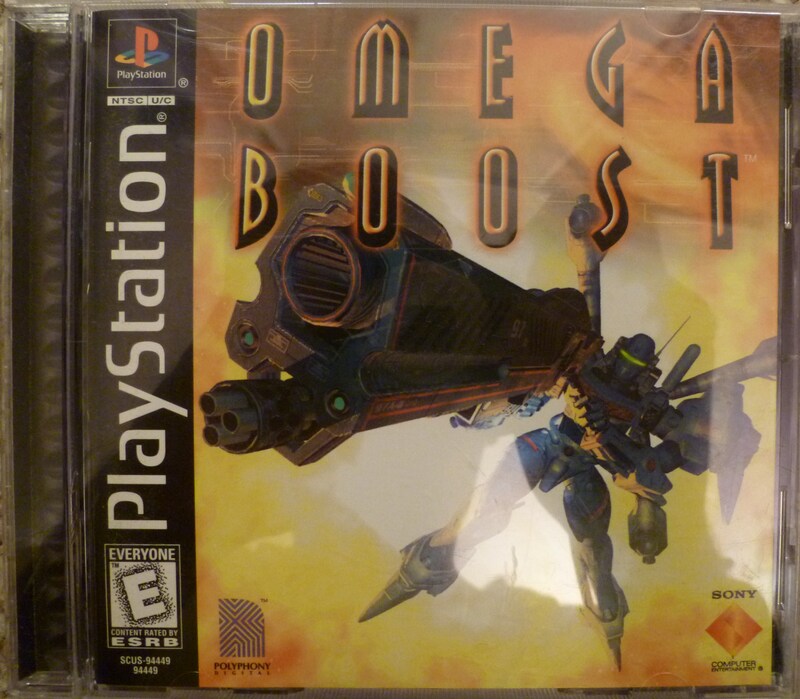 Omega Boost is a mecha themed shooter that was praised in its day for super good graphics. It’s always funny to look back at these types of games and remember how we all thought that was the pinnacle of visual design. Well, at least at the time. What’s that? 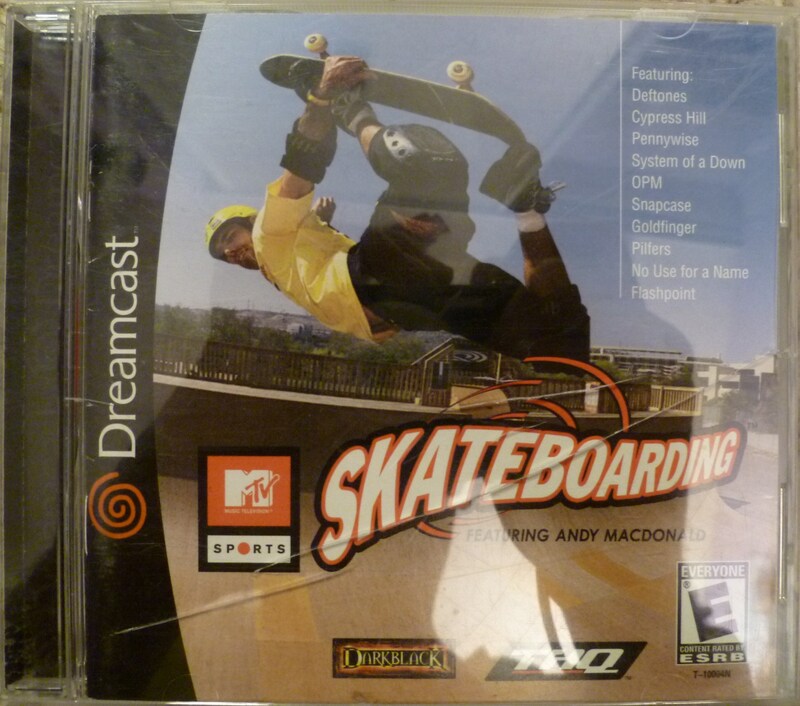 This was a release game for the Dreamcast? 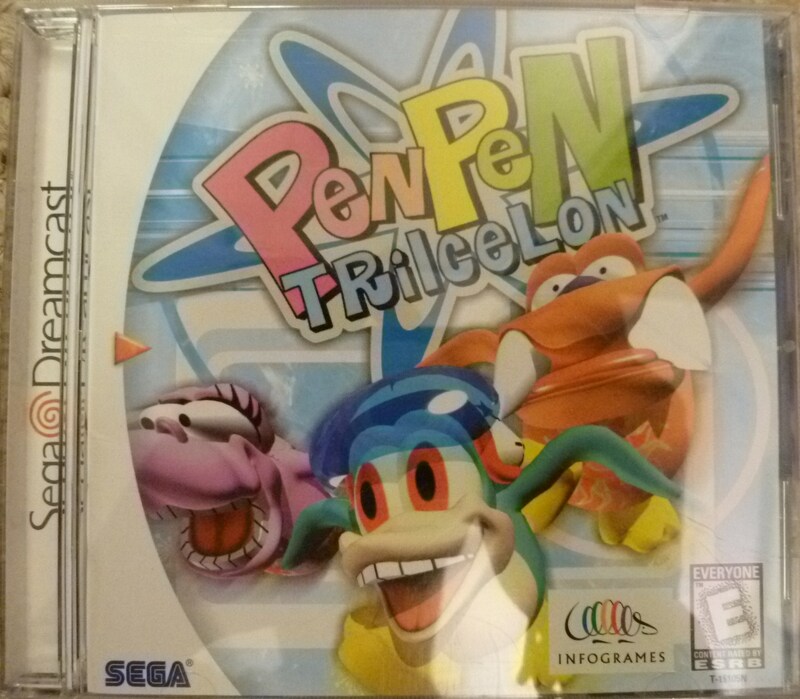 Anyway, PenPen Trilcelon is a crazy looking racing-ish game that came straight out of Japan. I’m all for wacky games, and since this one happens to be a Dreamcast exclusive, all the better! 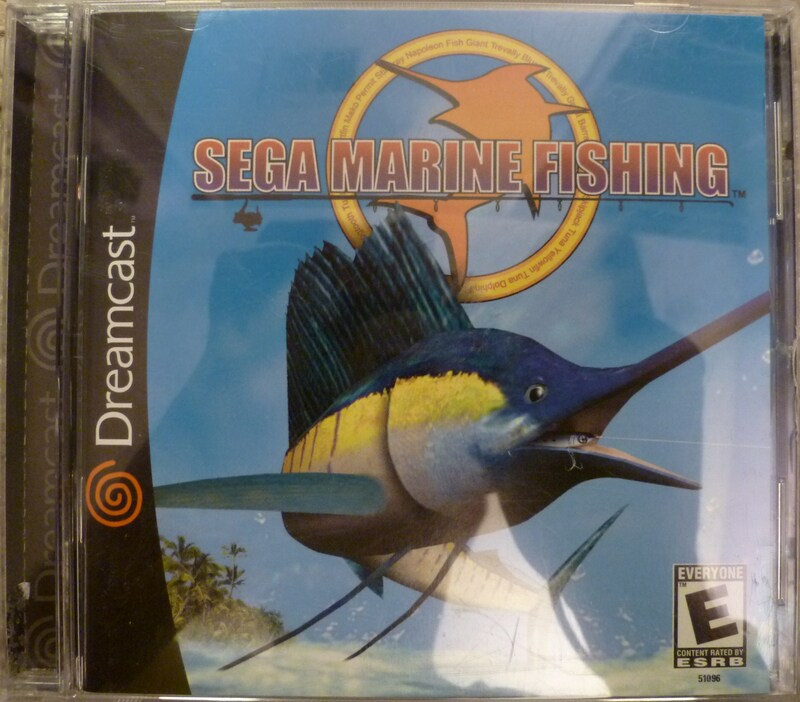 I also happen to own Sega Bass Fishing, which I suppose you could call this game the sequel to that one, but I do not own the special fishing reel controller that goes with the game. I did happen to see one, still in the box, at the store I purchased this game, but since I have to fly back home I didn’t want to lug around a big ol’ box in my luggage. Maybe next time. Apparently I was missing a large racing game hole in my life, because this is the third one so far (seventh if we’re looking at sports games). And again, this is another game that will not have the honor of spending more than an hour in my console. You know, I’m actually really curious about this game. 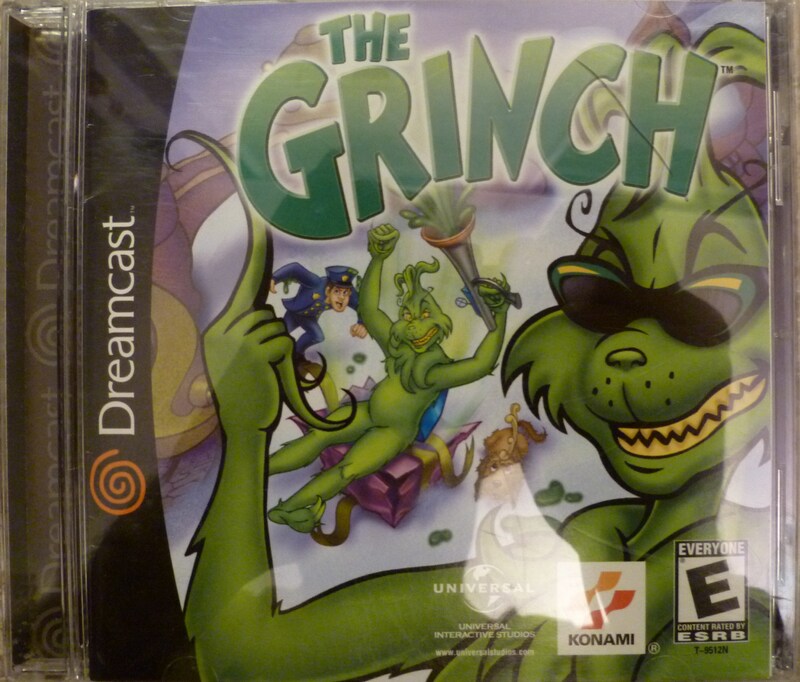 I’ve always loved the TV classic How the Grinch Stole Christmas, so I’m wondering how the developers (Konami, of all people) felt they could make an entire video game about that one character. And why in the hell is he wearing sunglasses on the cover? Who is he trying to impress? Another launch title! I’m racking ’em up this week! This game is yet another racing game, but more in line with recent titles like Midnight Club. with real world cars and specs used in the game. Looking it up online, I was surprised to see the series has been going up until a 2007 PSP release. The reason you and I have never heard of it is likely due to the massive success of other games in the genre taking control. Another game that had a lower price due to scratches on the disc. I still grabbed it though, as you can tell. 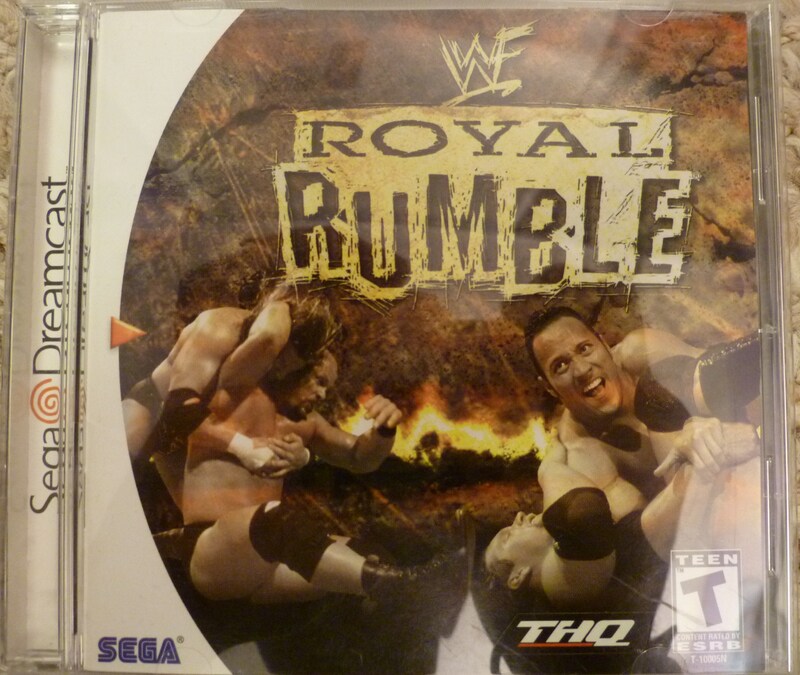 It’s a Dreamcast exclusive wrestling game, which I didn’t even think about. I felt like I’ve seen this game before on other consoles, but that must have just been any one of the hundred other wrestling games that dwell in comparison to THQ’s Nintendo 64 classics. One of two PSP titles from this Goodwill stores happens to be one of the only games in Japanese I know. Minna no Golf is Hot Shots Golf here in the states, and this is the Japanese version of Hot Shots Golf: Open Tee for the portable. The series has been around for awhile, and the arcade style golfing is still fun to this day. Seeing as I don’t have a PSP capable of playing this one, it will likely just sit on the shelf and look cooler than other games around it. 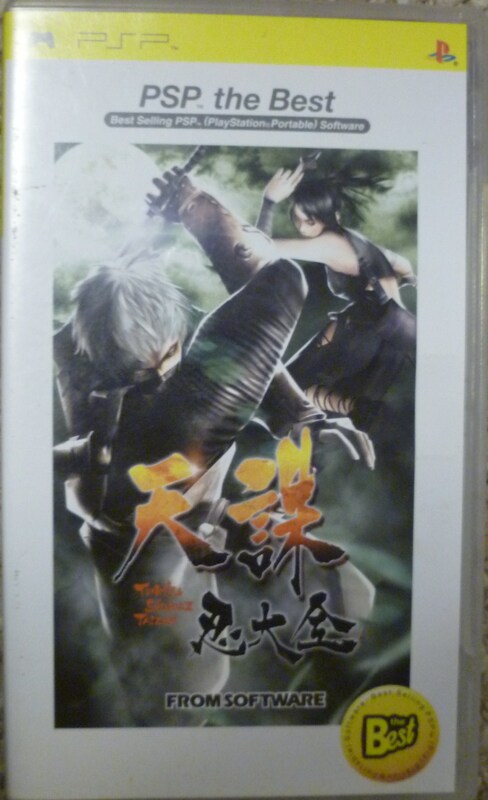 This version of Tenchu happens to be part of the PSP The Best line of re-released games, equivalent to the North American Greatest Hits line. Shinobi Taizen is the Japanese version of Time of the Assassin, a stealth action game in the Tenchu series of ninja-themed games. 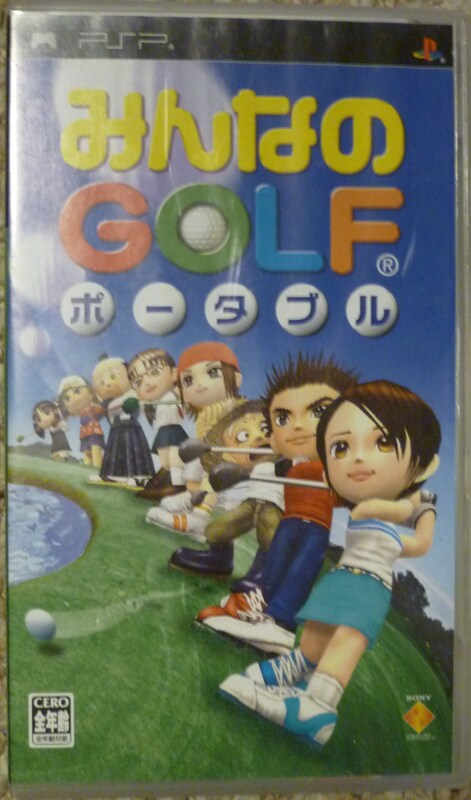 Like Minna no Golf above, I won’t be playing this one due to region locks on the system. 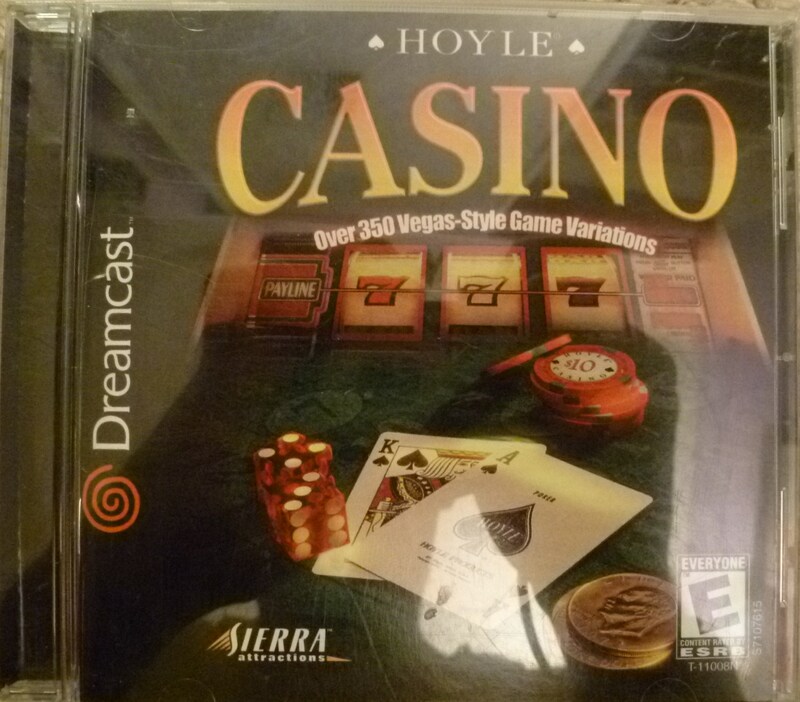 Gotta love those bargain bin Dreamcast titles. 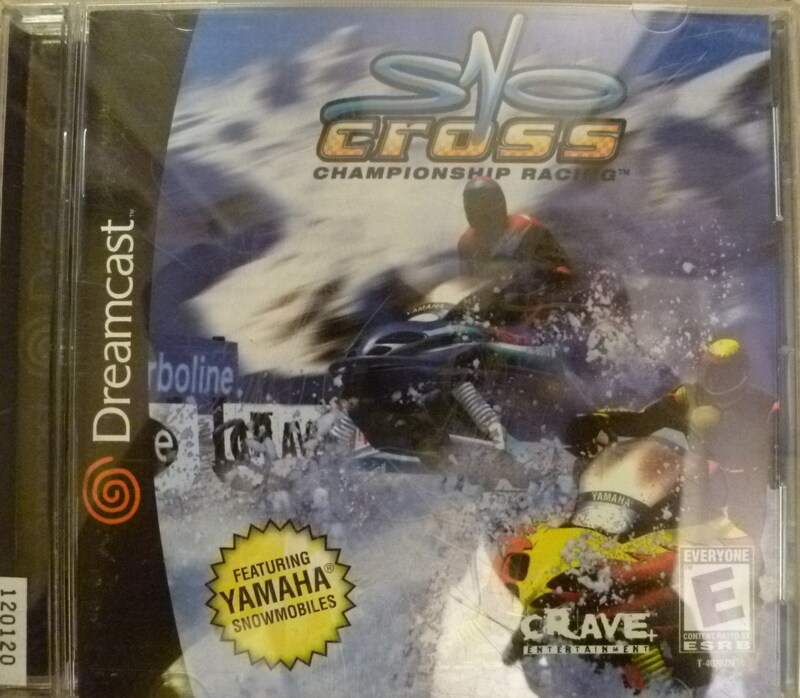 I always wanted to play that snowmobile racing game for some reason. That Space Cat store sounds awesome — don’t really see DC games that often anymore. 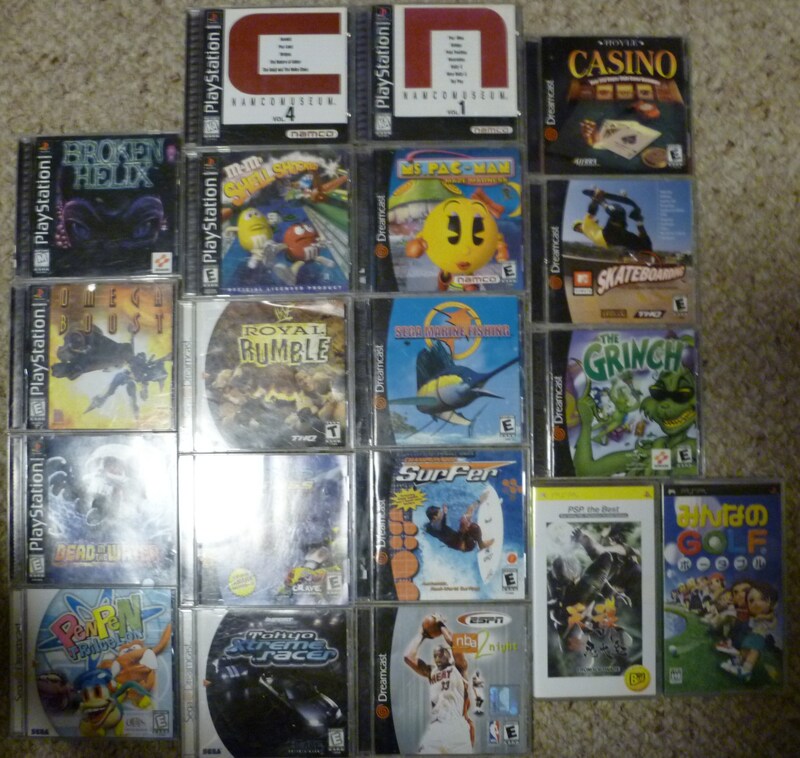 Nice finds, especially those Dreamcast games! The Grinch – You’re taking control of the Grinch, in this grand alternate turn of events, where the Grinch turns from bad to worst, and uses the first Who-chine Gun (R) ever made, against the people who made it against him! – Explore Whoville thoroughly as you dodge the counter attacks from the citizens of Whoville! – Find new friends from the dark corners of the land to become your allies in your quest for vengeance! Part of me wants to believe that all of this is true. But then the other part of me knows it’s horribly, horribly wrong to think so.